Read Srimala Maree’s whimsical insights! One of classical yoga’s founding moral principals is Asteya, which means non-stealing. Ali reports: The desire to take someone’s property without permission, and gain from it in some way, is the root impulse that leads to theft. However, in today’s consumer world people not only thieve personal property and possessions, they also inadvertently thieve information, ideas, and intellectual property. Thievery can corrupt the spiritual integrity of individuals, resulting in negative karma. Even so, as yogis we still need to be vigilant of taking what is not ours, whether it is information or intellectual property. Also, we need to monitor our consumer urges, making sure that we don’t acquire more possessions than we actually need. Interestingly, on Thursday 24rd April my locked bike (my primary form of transport) was stolen from outside my Studio at Sadhana Yoga, 9 Park Road, Miramar. Luckily I had an old spare bike, which I intended to donate to my teacher in India. This old bike will be used until my little blue Myka bike is reclaimed through the help of the local community. Luckily, Daminda from the Roxy Cinema was able to capture the theft on CCTV. Meanwhile, the Police, who drove past the crime scene while the thief was in action, have been notified and have access to the footage. 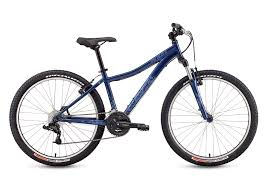 The great guys at Burke’s Bike Kilbirnie are also on the look out and believe they saw my bike outside Countdown Kilbirnie within the last few days! Thursday the 30th, Day 6 and the shine is coming off just slightly. Which does not worry me as there will be peaks and troughs and to have cruised for 6 days flat, literally slipping through each day with ease is more than I could have expected. Now don’t throw yourselves to the flow, beating the ground with your fists and wailing for my failure! I haven’t fallen off the serene, bejewelled, lotus smothered wagon. I simply found today a little tougher to achieve. I smelt bacon cooking as I cycle past a café on the way too work and not long after I spied a child at the bus stop eating a hot pie (oh my shame). Later in the morning date scones were shared around and the aroma wafting from the kitchenette at lunchtime was excruciating. Pizza being reheated followed by a beef rending But I made it, I managed the day and as long as I commit to my beautiful home practice before bed I shall feel triumphant! Today, while waiting for my hairdresser, I unconsciously broke open a cellophane wrapped complimentary mint, and crunch it up fervently. White sugar is a no-no in this challenge! As soon as the white sugar hit my taste buds I was in a quandary as to whether I should spit it out in my hand and go through the whole haircut with poisonous paste in my palm … or crunch away and fully realise the strictness of this challenge. So as not to disgust the other people in the Salon, I reluctantly crunched and swallowed the toxic mint and made up my mind that this was a lesson in controlling the compulsion of unconscious consumer urges! We must stay vigilant least we fail!